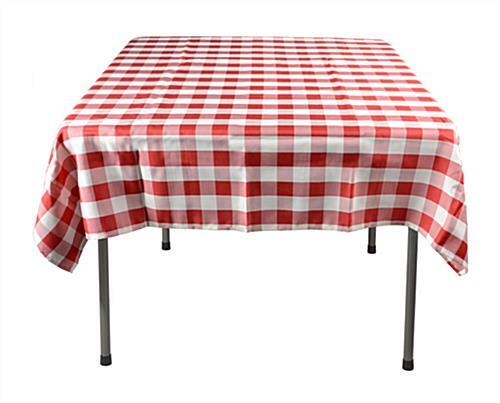 The square tablecloth with red and white checkered pattern is great for Italian delis and pizza shops. The 100% polyester blend is a highly durable material which is wrinkle-free, machine washable and most importantly flame retardant. Each square tablecloth for restaurant use is also ideal for home or catering use. The restaurant linen is an important aspect to the overall décor of an establishment. This square tablecloth with checkered pattern is highly sought after.